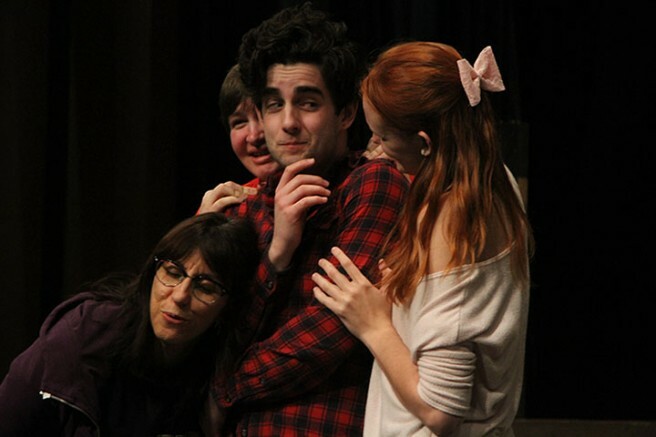 The American River College theater program debuted ‘The Foreigner’, a comedic play in which two guests at a lodge put on a ruse pretending one of them cannot speak English, at the American River College Theatre on Friday. Charlie Baker starts out as a mundane man who unintentionally goes along with Sgt. Froggy LeSueur, his more outgoing friend, and pretends to be foreign and unable to understand English. Throughout his life, Baker has a hard time communicating with people, but once he becomes ‘the Foreigner’ he seems to develop a personality. The play ‘The Foreigner’ is a comedy but has some deeper life lessons throughout the story. The show displays a comical feel with intentional puns while also displaying real life morals. The play is based on a man who is coming out of his shell and exposing those who are untrue to themselves. ARC students Carson Morris and Brenden Brazell, stage manager and stage crew respectively, shared their thoughts on the night. Brazell shared his thoughts on his favorite part of the show and the things he is most proud of. “I’m proud that everyone was getting all of the jokes,” Brazell said. The play will run from Feb. 26 to Mar. 6 at the American River College Theatre. For additional information, contact the theater program or visit the department. Be the first to comment on "The theater program debuts comical play ‘The Foreigner’"